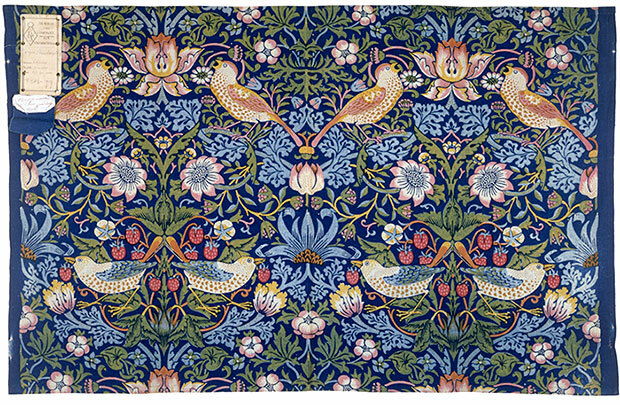 V&A Museum helps develop a new game from a William Morris furnishing fabric. 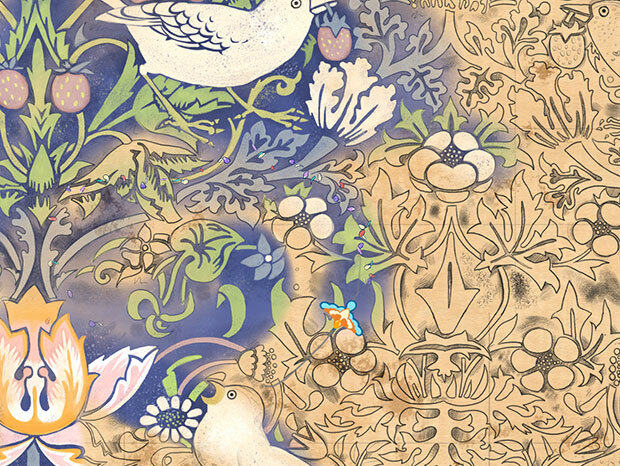 The V&A’s first ever Game Designer in Residence, Sophia George, launched a brand new iPad game inspired by the work of William Morris. 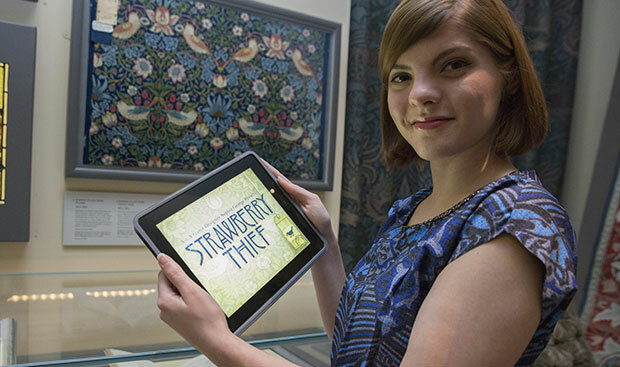 The new game takes its title, Strawberry Thief, from a William Morris furnishing fabric on display in the V&A’s Britain 1500-1900 galleries. The game enables the user to sketch and color the famous pattern by flying a bird – the strawberry thief itself – across their iPad screen. As the player drags their finger across the screen, it leaves a trail for the bird to follow – and each section of the pattern it flies over then transforms from a pencil sketch to the colored pattern. 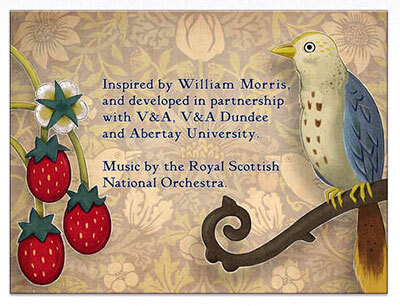 Animations and music from the Royal Scottish National Orchestra (RSNO) gradually bring Morris’ pattern to life in an experience designed for players of all ages. Strawberry Thief, William Morris, 1883, Given by Morris & Co. (c)Victoria and Albert Museum, London. Sophia researched her game between October 2013 and March 2014 in the V&A, before returning to Abertay University to develop the game with Erin Michno from game studio Quartic Llama, Neil Cullen from RSNO and Abertay students Ellen Brown and Cameron Moore. 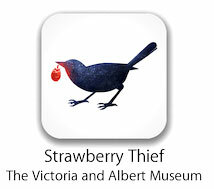 ‘Strawberry Thief’ game for iPad. (c)Sophia George. Sophia won a BAFTA Ones to Watch Award in 2012 for her first game, Tick Tock Toys, through Abertay University’s Dare to be Digital game design competition for students. Her next project will see Sophia introducing game design to primary school pupils in Dundee, working with Dundee City Council and Abertay. She will introduce inspirations from her V&A research as the building blocks for game ideas – including the works of Margaret Macdonald, the wife of Charles Rennie Mackintosh, and her sister Frances. 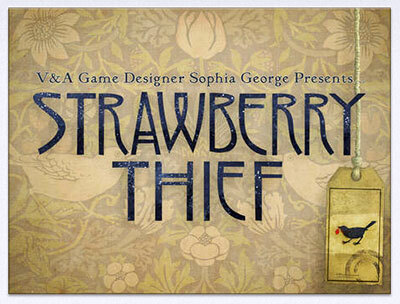 Strawberry Thief is available FREE from the App Store. Plan your dream home with authentic period décor, accessories, entertainment ideas, and renovation advice. Vintage fashion magazine to read on iPad geared toward those who have a love of vintage clothing and accessories. Have you proved your Downton Abbey knowledge of Downtonisms? Ramble through a list of Victorian slang and cant from the 1800s. Try some out and confound your listeners.